I love getting books in the mail, and there are times when I know a few books are coming during the same time period. In these instances, I love the surprise and discovery when I open these packages. I was very happy when I opened The Darkest Summer. I didn't recall the description, but I loved the cover. It would definitely catch my attention in a bookstore or library. I was very happy that my good feelings from the outside held while I read the book. It was a very enjoyable, fast read. I've been reading a lot of Regency books, and after awhile a lot of them start feeling very much alike. 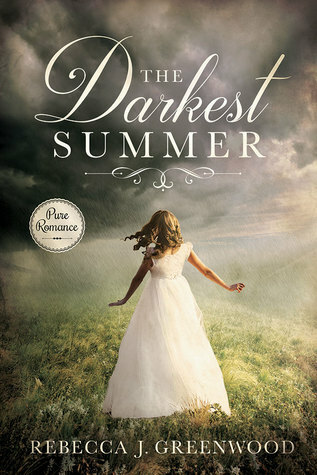 I appreciated how The Darkest Summer has a different take on the genre. Cora has a huge inheritance coming her way and doesn't need to "marry well" just to survive. She is passionate about plants, of all things, and just wants to get back home to tend to her gardens. The Duke of Blackdell wasn't like the other Dukes I've read about, and being from Scotland added some extra adventure to the story. My feelings about Cora's mother went back and forth. She seemed pretty awful initially, but as the story went along you could see that although selfish and misguided at times, she was trying to put Cora's best interests at heart. There were many adventures on the road to Scotland. The story brought up several issues: slavery, masters taking advantage of their servants, overbearing parents, abuse, aftereffects of war, loyalty, etc. It was deep on some levels, while still having a fast pace. I’d read more from this author. I love a good take on Hades and Persephone. This was a fun novel with that twist to it. It's a cute novel with a fun story line, and one I'd probably read again. Especially since I think the cover is well done. However, I was a slightly disappointed in the romance. It wasn't developed at all. Just a lot of broody looks and hot skin when that was touched. I was hoping that more would develop after the kidnapping, but nothing really does, and it was more attraction than love, and that made me sad for an otherwise really good story. I really enjoyed this story, and was very interested to find out how the romance part of it would work, what with the whole kidnapping thing and all. The duke was a very mysterious character, and we only get to know him in bits and pieces. I had a hard time with the description of his looks though. So much emphasis was put on his bright red lips and his very pale skin - I'm not sure why, but I kept getting the impression that he wasn't a very good-looking man, due to the way he was described. I kinda liked that his name was Adam, because the main character in my favorite book has that name, and that Adam is also a grumpy, scary sort of fellow. :-) Towards the end of the story, we see a lot more of his insecurities shine through, and we find out why he is as gruff and cold as he is. I appreciated how loyal Kate and Malcolm were to Adam, even though they let him know it when they felt he was out of line. I enjoyed following their subplot too. I did feel that the whole "his eyes were burning" line was mentioned way more often than it needed to be. Maybe once or twice, but after that, using a different way to describe the attraction they felt when they looked at each other would have been better. This was a quick, enjoyable read, and I'm looking forward to reading more from this author.